There were major delays throughout yesterday evening while emergency services spent hours attending the scene. 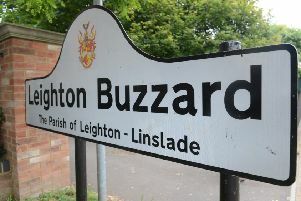 A British Transport Police spokesman said: “We were called to Leighton Buzzard station at 3.59pm yesterday following reports that a person had been struck by a train. “Officers attended alongside colleagues from the Ambulance Service but sadly a person was found to have died at the scene. “He has now been identified as a 14-year-old boy. “His next of kin has been informed and his family is being supported by specially trained officers. Speculation on social media that the victim was a teenager was not confirmed until this morning. Many took to Twitter, including soul singer Beverly Knight, to offer condolences to the victim’s family. Cedars Upper School has since offered support to pupils and parents, as reported here.